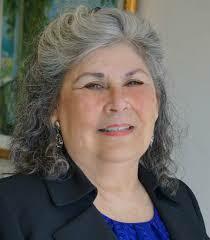 Helen Barro, a longtime Democratic activist but one not likely to be able to mount a serious challenge to McCarthy. And over in the 21st Congressional District, labor activist Dolores Huerta is using her sharp elbows to make sure other Democratics don't join her son, Emilio Huerta, in opposing Rep. David Valadao. 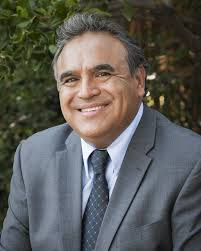 Virtually no one gives Emilio Huerta a chance of unseating Valadao. If the Democrats expect to retake the House, they likely will have to pick up seats elsewhere. 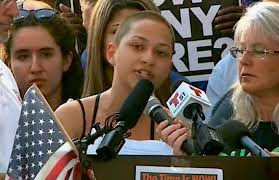 * ... STUDENT PROTESTS: Keep an eye on the young students calling on Congress to enact sweeping gun control. That's the word from CSUB professor Jeanine Kraybill who told me these early protests show the promise of developing into something much deeper and more widespread, reminiscent of the early days of the Vietnam War protests. The political parties that ignore this movement do so at their own peril. * ... EVACUATION: So were you listening to the radio, or watching TV, when the mandatory evacuation order scrolled across the screen? That's right, it called for a "mandatory evacuation" in Kern County and then was quickly dismissed. What happened? It looks like the mistake was make in the county emergency management department. Remember what happened in Hawaii recently? 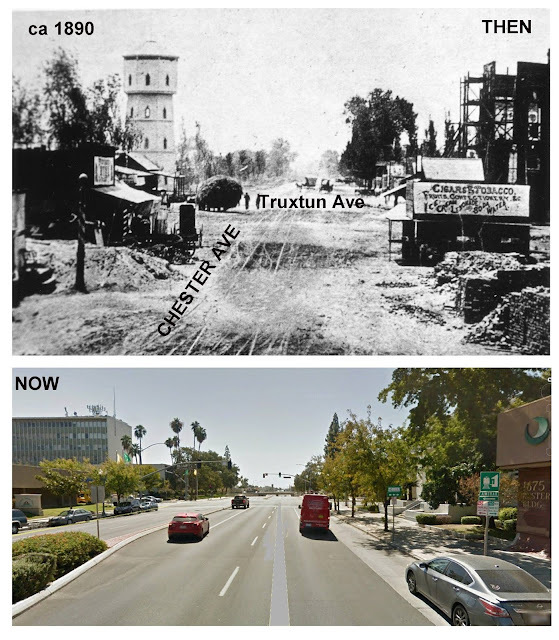 Who has the hand on the button in Kern County? * ... WILDEST DREAMS: A popular consignment shop that was once across the street from The Padre Hotel has moved east to 716 19th Street. In Your Wildest Dreams Consignment is now part of the emerging "east of Chester" renaissance that has shown remarkable resilience in the past few years. Expect it to open soon and check out its eclectic wares. * ... IMBIBE: A couple of events coming up at Imbibe Wine and Spirits that are worthy of your attention. First, on Thursday, March 1, Imbibe will be featuring 13 wineries pouring over 40 high end wines (some over $100 a bottle) from the Mt. Veeder area of the Napa Valley. Tickets are $35 each. 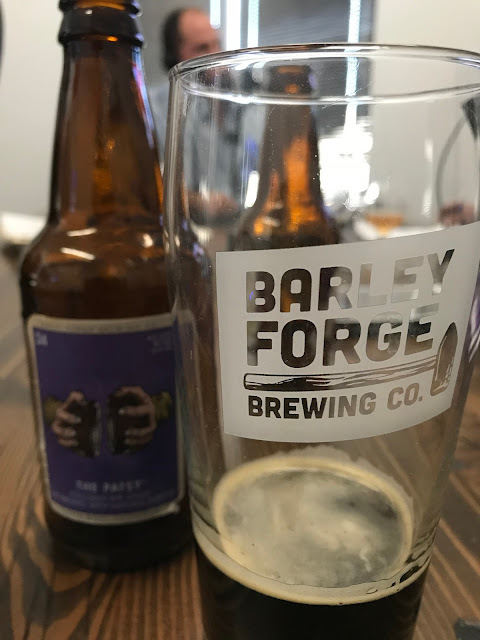 Then, the following week on March 14 the craft beers of Barley Forge Brewing will be featured during a tasting that cost just $15. Make sure you check out The Patsy, a coconut beer that is unique and popular. * ... CALI BURGER: Yet another burger joint is opening in town, this one off Olive Drive and Highway 99. 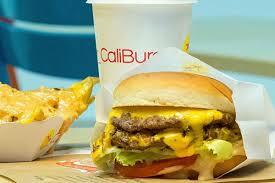 CaliBurger will open Monday at 10:30 a.m. at 5646 State Road in Oildale, right off the 99 and Olive Drive. The restaurant offers burgers and chicken sandwiches along with "perfectly seasoned fries and delicious shakes." The burger joint has locations in 13 countries, including Spain and Taiwan. 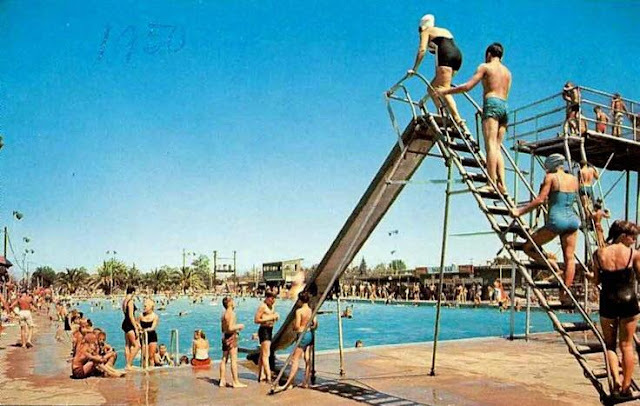 * ... OLD PHOTO: Check out this picture I borrowed from the Kern County of Old Facebook page. Amazing. she is known as something of a political bully who puts her own interests above that of others. Sound harsh? Not if you know Huerta, and more evidence of that was on display recently when the Los Angeles Times wrote about her involvement in the Democratic fight to unseat Rep. David Valadao in the 21st Congressional District. 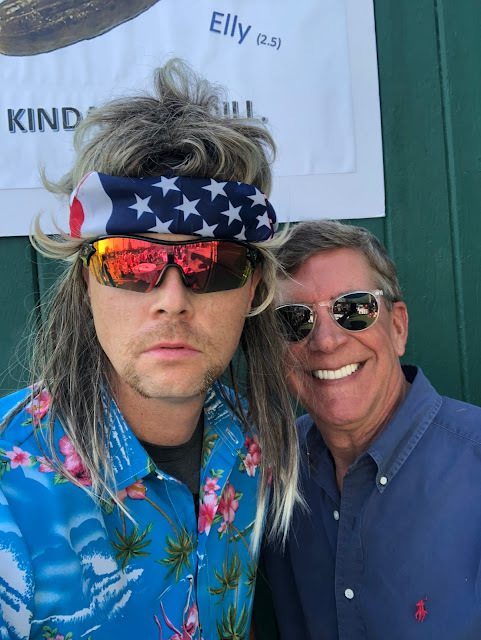 If you remember, Huerta's son Emilio challenged Valadao in 2016 and lost badly. He was a horrible candidate and he failed to raise much money. He is running yet again, and Democratic leaders fear he will again fail to flip a district that went heavily for Hillary Clinton in the last election. But Huerta has made it clear that she doesn't want the Democrats to recruit any other candidates. "She told me clearly," one Democratic official told The LA Times, "stay out of the race." 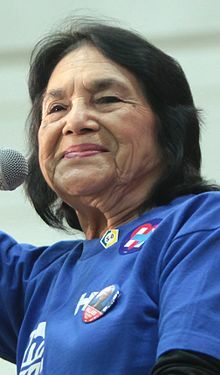 Democrats privately worry that the 87-year-old Huerta is putting her own self interests above that of her party, and for those who know her, this comes as no surprise. * ... DONNY YOUNGBLOOD: Kern County Sheriff Donny Youngblood thinks Supervisor Leticia Perez should have recused herself from voting on legalizing marijuana sales because of a possible conflict of interest with Perez's husband, Fernando Jara. Jara denies he was involved in local pot issue but others, including Supervisor Mike Maggard and his chief of staff Jeff Flores, claim otherwise. 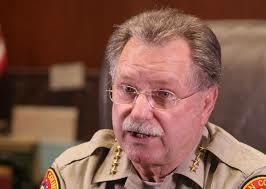 "I like both Mike and Leticia so I am caught in the middle," Youngblood told me. "But yes I do think she should not have voted" on that issue. * ... SANTA CAROTA: The locally produced Santa Carota beef hamburgers now served at Eureka burger on Stockdale Highway have been a huge hit. Priced at $17, this burger is not cheap by any means but is hugely popular. Cody Bossaert, Eureka's local general manager, told me the restaurant sold 160 Santa Carota burgers the first week alone. 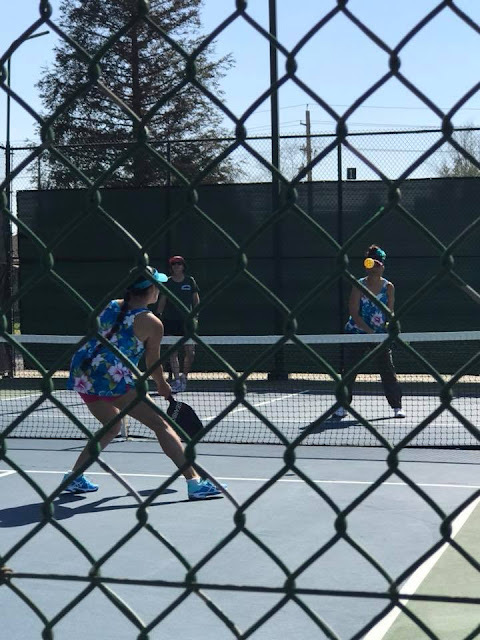 * ... PICKLEBALL: Here's a tip for the Chabad of Bakersfield, the new owners of the old Laurelglen Tennis Center: if you own those tennis courts behind your facility, convert them into pickle ball courts, charge for admission (or a pickbleball monthly membership) and reap the rewards. 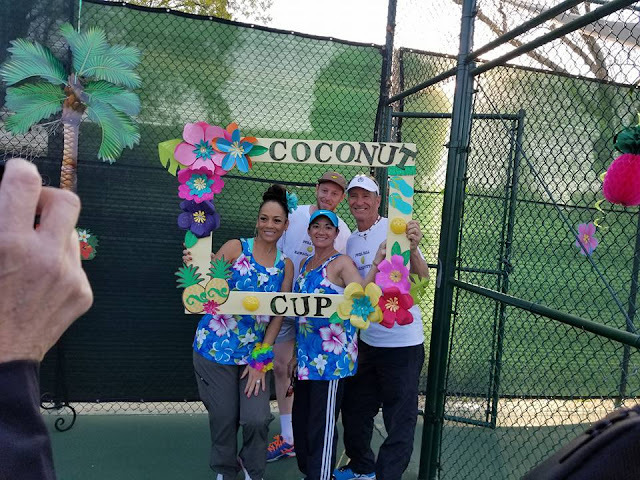 Pickleball is the fastest growing sport in America, and you saw it this weekend when the Bakersfield Racquet Club held its first "Coconut Cup" (named after the sponsor Coconut Joe's) drew more than 100 entries from places like Shell Beach, Fresno, Nippomo, Pismo Beach, Visalia and the Antelope Valley. Pickleball is so popular at BRC that they froze the membership and there is now a waiting list. * ... THE PLUNGE: Enjoy this old picture of the Union Avenue Plunge, where Bakersfield cooled off during the hot summers.